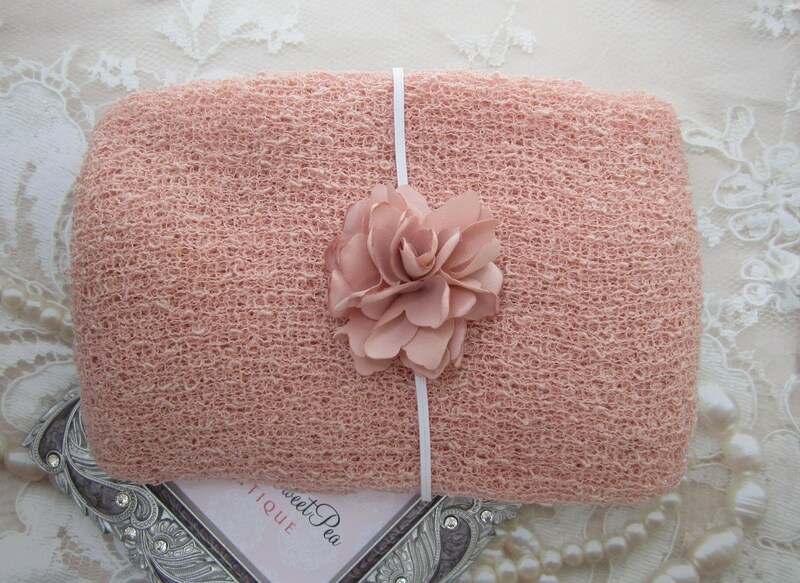 Blush Stretch Knit Wrap AND/OR Organic Mulberry Flower on Stretch Knit Headband for photo shoots, wrap set, bebe foto, by Lil Miss Sweet Pea. 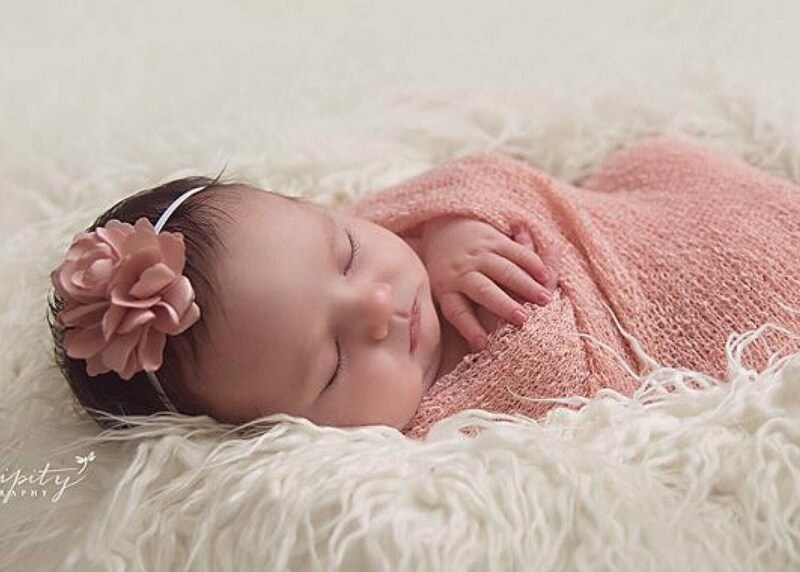 Pretty 2.25 inch satin flower on skinny elastic, just perfect for a newborn, photo shoots or everyday. 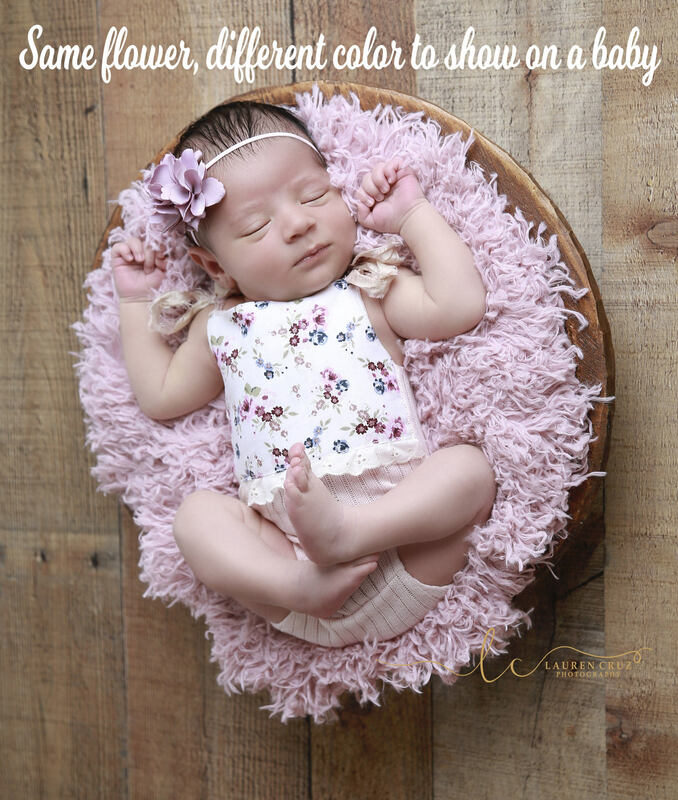 Lilac flower shown on model is not included, this is to show this style headband on a newborn. 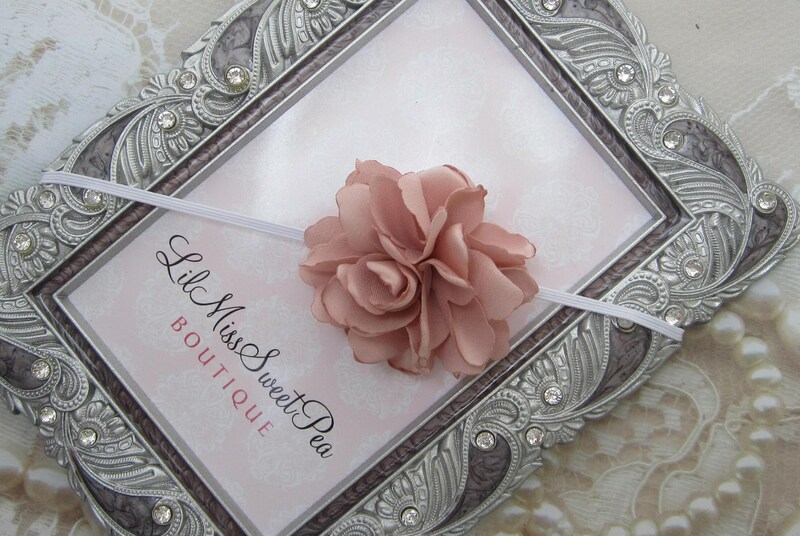 Beautiful, and shipped quickly! Seller was very helpful and responsive.